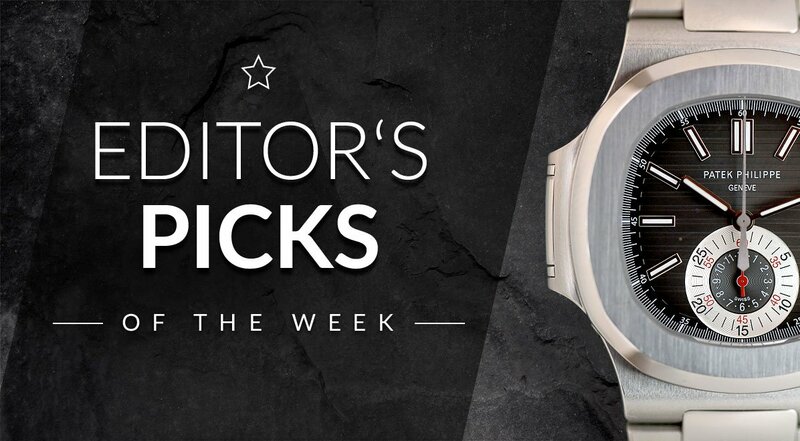 The authors of the Chrono24 Magazine hand-pick the best watch offers on Chrono24 – from affordable daily drivers to famous watch icons and exceptional collector’s pieces. If you want to buy one of the watches, simply click on the offer and place your order on Chrono24 today. When you hear “Patek Philippe,” affordability probably isn’t the first thing that comes to mind. Patek Philippe has been the definition of high-end luxury timepieces for over 150 years. They’ve created watches for kings, Hollywood royalty, and business tycoons. Even so, this Swiss watch manufacturer also has some not-so-pricey models in their catalog. However, this does require some sacrifices. The most affordable timepieces are usually vintage and often come in smaller, 32 to 34-mm cases. Take the Calatrava reference 3537, for example. You won’t find any expensive complications here, not even a date. This 34-mm watch is simple, light, and thin. Yet, it’s this simplicity that gives this watch its charm. This Calatrava is the perfect dress watch for any formal occasion. Its silver dial beautifully complements the white gold case. Furthermore, its relatively affordable price tag makes this beautiful timepiece from one of the top Swiss brands all the more attractive. It’s difficult to find the right words to describe the Patek Philippe Nautilus—a true timepiece of superlatives. Its status as one of the world’s two most coveted watches in series production is undisputed. This piece so rare and in such high demand that people usually have to wait years to receive their watch. Every detail of the Nautilus is of the highest quality: the bracelet, the case, the elegant blue dial, and, of course, the movement, which is assembled, regulated, and finished by Patek Philippe’s watchmakers. Its price may seem a bit high for a stainless steel time-and-date timepiece. However, this isn’t your standard stainless steel watch: Its position as the best luxury “sports watch” has remained unchallenged since it debuted in 1976. If you step away from Patek’s design icons like the Nautilus, you’ll find this company’s true calling: complications. These features are anything but easy to produce, especially in the number and combinations created by Patek. While it may seem a bit superfluous at times, these timepieces are more than just wrist accessories: They’re art and the physical embodiment of haute horlogerie. One such timepiece is the 5970R. This complex and expensive watch boasts many of the features most watch fans would die for. These include a triple calendar, 24-hour indicator, moon phase, and chronograph. Although Patek Philippe only produced this watchmaking marvel for a very short period of time, it still managed to achieve legendary status among collectors and fans alike. The Patek Philippe Aquanaut: Grail or Fail?